Family and friends are in mourning after 14-year-old transgender boy Emmett Castle took his life on Saturday in San Diego. 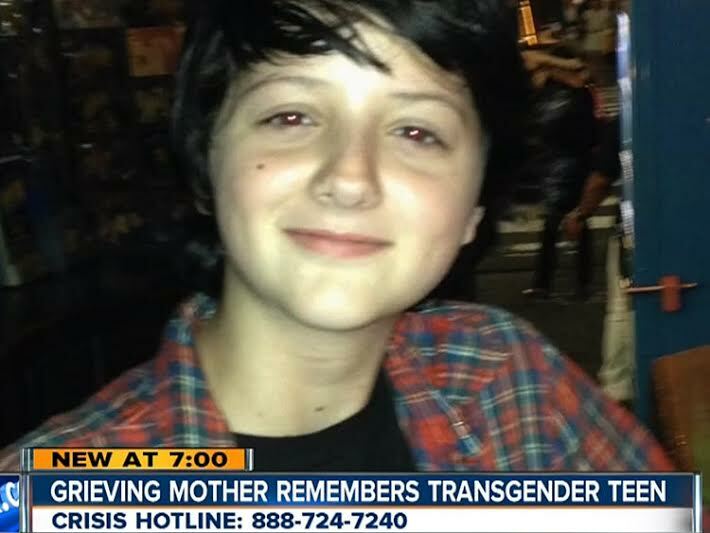 Beloved by his mother and father, Sarah and Mike Castle, and friends and family, Emmett Castle, a sensitive, quietly mature 14-year-old transgender boy in San Diego took his life Saturday morning at his father’s Mission Valley home, according to local news station KGTV. “He had a wisdom beyond his years” and a big heart, his mother told KGTV. Castle began transitioning last summer, and his family immediately accepted him, encouraging him to attend meetings at the Hillcrest Youth Center at the San Diego LGBT Community Center. The Hillcrest Youth Center is the only drop-in and recreational center in San Diego County dedicated to the needs of LGBT youth. His family sought medical help for Castle’s severe depression, but despite these interventions, Castle had previously attempted to take his life several times, his mother shared with to KGTV. She emphasized that there were no immediate warning signs that would have prepared the family for what happened Saturday morning, noting that the teen was excited about legally changing his name later in the month. Yet his mother reported that the physical changes of puberty were difficult for Castle, and his occasional misgendering at school upset him to the point where the teen would ask to be picked up by his father. This is the fourth trans teen reportedly passing by suicide in the San Diego area this year. The Advocate last reported on the death of Kyler Prescott, another 14-year-old transgender boy, who was an accomplished pianist and activist for marriage equality and animal rights. Prescott, who died by suicide on May 18, was beloved by his family who affirmed him through his transition. Prescott and his’s family also attended local San Diego support groups for family members of trans youth. Their support mirrors the love shown to Castle by his family. Taylor Alesana, a 16-year-old transgender girl near San Diego, took her life on April 2, while a gender-nonconforming teenager named Sage, also died by suicide in early March. Both Alesana and Sage were reportedly involved with the North County LGBTQ Resource Center, where Prescott also attended various group meetings. With the Castle family’s blessing, the young man's aunt, Danielle Stickler, and family friend Allison Erickson, have set up the Emmett Castle Memorial fund as a GoFundMe page where the public may contribute funds towards funeral costs, with remaining donations to be given directly to the the San Diego LGBT Community Center. In her discussion with KGTV, Castle’s mother urged family members of trans youth to love their child and seek help when it is needed.